"Don't You Wanna feat Juicy J"
Fusing his country roots with a deep love for West Coast culture and aesthetic, singer-songwriter Denny Strickland cannot be missed. Named one of Rolling Stone’s “Top 10 Artists to Watch,” Strickland is a bold innovator in crossing musical lines. With a keen ear across the charts, Strickland has become notorious for seamlessly taking elements from a variety of genres and creating his own distinct sound. 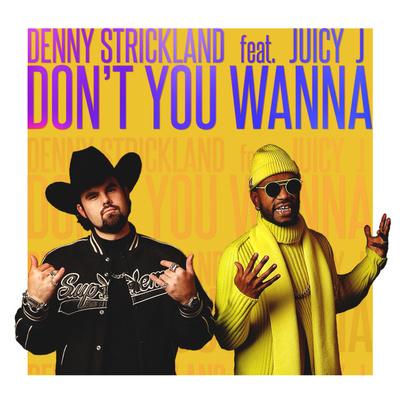 Strickland continues to push the boundaries of music with his latest single the R&B infused country anthem “Don’t You Wanna” (featuring Juicy J).